Gram Hawley and granddaughter Cindy Lou run the general store and post office in Happy Hollow somewhere deep in the Ozarks. 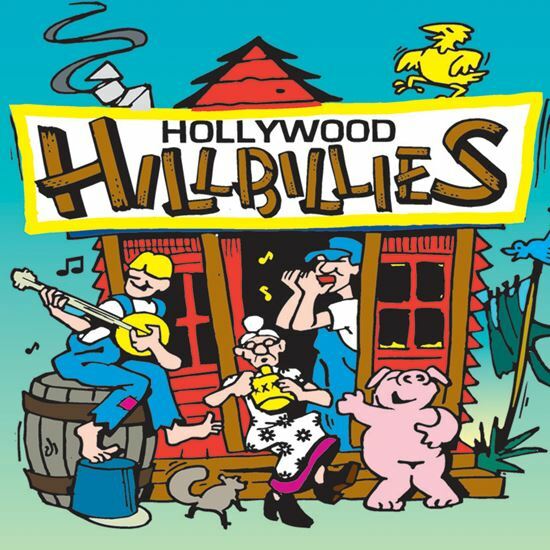 Although Cousin Bubba and Clem are pretty eccentric, not much happens in Happy Hollow, until some big city folks descend makin' for a real "Hollywood Hoedown." Among the visitors are distant relations, Josephine and Charlotte from Hollywood who are terrible snobs; a big-time movie producer who is going to make a flick about "Life in the Hills"; and a pair of crooks who discover that "Granny's Got Gas" (under her property, that is, and it's worth a fortune!). On top of it all, Cousin Bubba soon takes quite a shine to one of Charlotte's snooty sorority sisters ("Boyfriend from the Mountains"). And with the new highway comin' through, the little town is gonna be blown off the map ("Poor Happy Hollow")! This culture-clashin, kick-yer-shoes-off musical will be a sure hit with songs that'll make you want to stomp your feet. Y'all come!